NOTE: These motorcycle recalls are presented as a public safety resource. For more information, visit your Moto Guzzi Motorcycle dealer or visit the National Highway Traffic Safety Administration website. Summary: On certain motorcycles, under extended running speeds near the engines revolution limit, the engines connecting rod bolts can fail. Consequence: should such a failure occur, the motorcycles engine can suddenly stop turning or lock, requiring the operator to disengage the clutch in order to maintain control of the motorcycle. 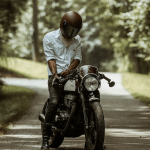 If the clutch is not disengaged, the operator can lose of control of the motorcycle, which could result in a crash, personal injury, or death. Remedy: Dealers will install new, redesigned connecting rods and bolts. Owner notification is expected to begin during December 2003. Owners should contact Moto Guzzi at 1-877-aprilia (1-877-277-4542). Summary: On certain motorcycles, the gearbox shift sleeves for engagement of 3rd to 6th gears can fracture unexpectedly while the motorcycle is in use. Consequence: should such a fracture occur, the motorcycle’s rear wheel can suddenly stop turning or lock, resulting in a loss of control of the motorcycle, which could result in a crash, personal injury, or death. Remedy: Dealers will install new, improved shift rings and a redesigned cush-drive assembly. Owner notification is expected to begin during December 2003. Owners should contact Moto Guzzi at 1-877-aprilia (1-877-277-4542).